For a lot of people around the world, the end of August signals summer’s last glorious hurrah and the impending arrival of another important day: Autumn and the first day of work. Over the last weeks, the Usersnap team asked some bright friends to collect and curate the “Best of Summer 2015”. From new tools to software updates, to interesting blog posts and web development news, this collection covers the latest web development and design trends of this summer. We also included an overview of some fantastic tools and software that got major upgrades that we think are worth to give them a try. Think of it as a transition guide from beach-to-office. Let’s get started, get back to productivity mode. Here’s a very brief collection of the most important tools & software updates of this summer. Ok, I guess there not much to say. Even if you’ve spent your vacation in the most remote area on Earth, you’ve probably heard the news about the official release of Windows 10. With some great new features and user interface updates, Microsoft took a step in the right direction after its much criticized Windows 8 release. You can find a full list of all new features on the Windows 10 – official web site. 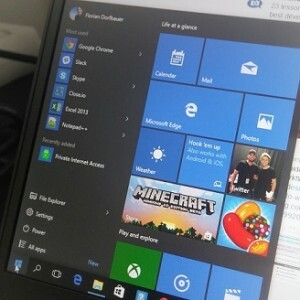 A great review on Windows 10 can also be viewed on theverge.com on Windows 10. Microsoft not only released Windows 10 but also included an all new browser – called Edge to their updates. With its browser Microsoft is trying to catch up with Chrome and Firefox. We’ve downloaded Windows 10 and took a look how Microsoft Edge may influence the daily work of developers. Here’s our first impression of Edge. Just recently, Slack announced another major product update offering email integrations for Slack. With those update teams on the standard or plus plans are now able to receive emails directly inside Slack. Read more in this blog post from Slack. The people at InVision have been busy during summer time and released some new features of InVision. With the so-called “Workflow”, InVision introduced a new way to manage design projects and the feedback process. Further on, InVision teamed up with lookback.io and presented new usability testing features for mobile testing. Learn more in this recent blog post. Web Designer? Here’s something to read for you! I’m pretty sure I’ve missed a lot of the hottest summer posts – just leave a comment if you found something particularly worth reading! 5 essential tips for improving your website mockups & prototypes!